Hey everyone! 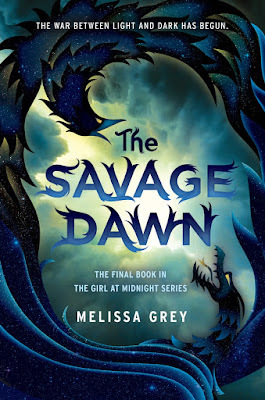 We are super excited to announce a tour we're hosting for THE SAVAGE DAWN by Melissa Grey which releases on July 11th! The tour will run for three weeks - from July 3rd-7th & 10th-14th will have one stop per day and will consist of a mix of reviews and excerpts. The bloggers who are chosen as hosts for a an excerpt will have an excerpt supplied to them from the publisher. We are totally stoked for the tour for THE SAVAGE DAWN this July! We can't wait for everyone to read it!